Danske Mobler has been designing and crafting Eden outdoor furniture for over 10 years. Manufactured in Auckland, the Eden collection incorporates quality hardware to withstand the New Zealand climate and the designs are specifically tailored to suit the laid-back Kiwi outdoor lifestyle. All tables come with elegant twin pedestal bases for extra chair space, corrosion-free stainless steel bolts and screws and a 5 year guarantee. Eden outdoor furniture uses Rosewood. Stressless® is Europe's finest leather lounge furniture, all fully imported from the Ekornes factories in Norway. Dankse Møbler stores (and a selected number of exclusive stockists) are the only places in New Zealand to buy this beautiful furniture. Meluka - simple, stylish New Zealand designed and manufactured furniture. Meluka furniture is built tough, designed for lasting performance and arrives fully assembled. Most of the Meluka products come standard with castors but they do have a fixed leg alternative should these not be suitable for your environment. All Meluka furniture is built to order in Auckland using state-of-the-art computerised manufacturing systems, ensuring absolute build accuracy and the highest levels of quality. Sealy has a long history of making quality beds. 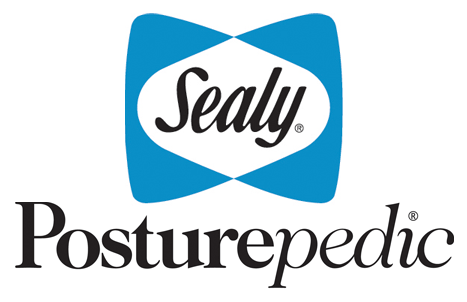 Sealy has changed the way the world sleeps, leading the way in research, development and design. Patented technology lies at the heart of the Sealy collection, providing unparalleled comfort and support. In a world of mass manufacture, Sealy remains committed to handcrafting and manufacturing beds. The right balance of comfort and support is essential for a good night's sleep. Sealy beds are designed to provide advanced support and superior comfort. Bos Design represents the best in New Zealand-made lounge & dining furniture design - many years of excellence & experience combined with innovative styles give Bos products a unique "look" & "feel". Bos products are sought after by discerning customers and are particularly well regarded by leading interior designers - this is furniture for those who are looking for something different but with superior quality & comfort 'built-in'. A household name in New Zealand and around the world - Lazboy chairs and lounge suites have been gracing homes here for over 40 years. Manufactured right here in NZ by Morgan’s (apart from a selected range of leather La-Z-Boys), there is a huge range of incredibly comfortable furniture to choose from. At Danske Mobler Taupo, you will be able to select from our exclusive range of La-Z-Boy recliners & lounge suites; making your own fabric choice will be our speciality. Pressure-relieving material is a breakthrough in sleep technology that will forever change the way you sleep. The story of this revolutionary material, the heart and soul of all TEMPUR Products, begins with NASA’s research to develop a material to relieve the tremendous g-forces experienced by astronauts. EastWest designs feature the latest in European slat technology, Pivotech, which provides you the ability to customise each side of the bed to suit your individual needs. However it's no good having a fabulous support system unless you are able to match it with a luxurious comfort layer in which you can rest, relax & revive! East West Designs have three ranges of mattresses, specifically designed to enhance the performance of our flexible slat frames. Paulack Furniture is a family run business that was started in 1976, hand crafting coffee tables, dining chairs and dining tables using traditional manufacturing methods out of fine timber milled in New Zealand. Over years Paulack grew into a recognized manufacturer of fine furniture supplying the New Zealand and Australian retail furniture markets. Ison furniture is made in New Zealand from quality, hand-matched solid rimu or oak. Each piece from the extensive range is built to cabinet making standards, with features including dovetailed drawers and heavy-duty metal runners. Entertainment units, buffets, coffee tables, cabinets and more are available in numerous styles and sizes, or can be custom-made to suit. Sorenmobler, the brand that is built on tradition and fine craftsmanship. For more than 30 years, Sorenmobler has been producing solid timber furniture of distinctive design from New Zealand native timbers such as New Zealand Rimu and Southland Beech. A wide selection of Sorenmobler designs for the Dining Room and Bedroom is available in NZ native timbers and American Oak. d-Bodhi’s mission is to be an international leader focused on the environmental and socially responsible design of unique, high-end furniture, home décor, and lifestyle products. Natural Latex Mattresses, Toppers & Pillows for a healthier Sleep. Most people do not know what their bed is made of, but it is important to sleep on natural, healthy components especially if you suffer from allergies. Whether linens, mattresses, mattress pads, covers, or bases, these components can all play a significant role on your health. That’s why Natura Sleep only use the best materials. MicroSeal provides fabric and fibre protection, this is key in prolonging the lifetime of your textile. The most expensive textiles are benefiting from the application of this unique product. MicroSeal dramatically increases the life of all natural and synthetic fibres. The Warwick family has always been at the cutting-edge of fabric trends. Today Warwick Fabrics is a household name in innovation, quality and service around the world. We have a range of selected fabrics from Warwick giving you the freedom to customise your lounge furniture. Widely known in the furniture industry as one of the leading lounge suite manufacturers, EJP have been manufacturing quality lounge designs for well over 30 years. They are particularly known for their larger designs & variations on classic styles - not to mention their great value for money. We will stock a small range of exclusive designs which can be customised with your own choice of fabrics or you can take advantage of the huge range of fabrics especially selected by EJP themselves. Textilia are a well-established New Zealand company with an enduring passion for beautiful textiles and wallcoverings, and with over 30 years’ experience in the furnishing textile industry. Their extensive range of both drapery and upholstery fabrics is sourced from the finest mills in the world and always carefully selected with our unique New Zealand lifestyle, our environment, and our expectations of quality in mind. Charles Parsons extensive collection of upholstery textiles offers functional and versatile solutions for your requirements whether covering a sofa, lounge suite, feature chair or a dining table setting. Expansive and fluid colour palettes, which are supported by a solid range of neutrals, reflect international colour directions. James Dunlop Textiles is a global textile wholesaler bringing you the very best in textile design, technology, quality and service. We have a range of selected fabrics from James Dunlop giving you the freedom to customise your lounge furniture. Coastwood manufacture ranges of furniture from bedroom, dining, occasional and entertainment - we do a huge range of styles to suit every taste. Coastwood Furniture are based on New Zealand’s West Coast, using NZ grown pine, and 100% New Zealand owned... you don’t get more Kiwi than that!